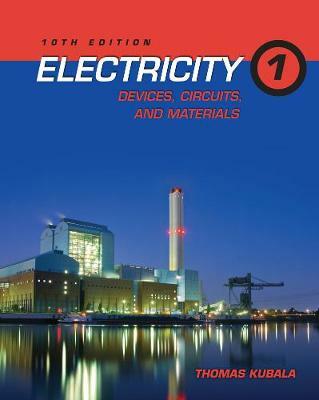 Designed to help you learn fundamental electrical concepts and explore their practical applications, this trusted book provides a solid foundation in electron theory and movement, direct-current series circuits, parallel circuits, series-parallel circuits, voltage line drops, rotating machinery fundamentals, and more. ELECTRICITY 1: DEVICES, CIRCUITS AND MATERIALS, Tenth Edition, maintains the user-friendly style and proven approach that are so effective, all while incorporating new material and updates based on the 2011 National Electrical Code ®. Featuring current industry terminology, photographs of commonly used electrical equipment, and sample problems with solutions, this convenient, affordable book is an ideal choice for anyone interested in mastering basic electricity, house wiring, or commercial installations.